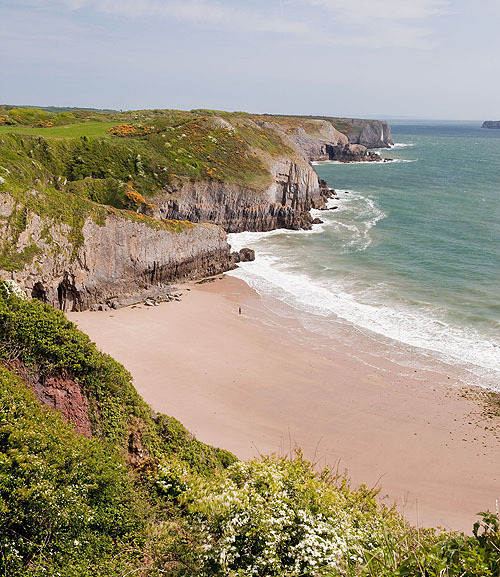 A view over Skrinkle Haven Beach , passed Lydstep Headland to Caldey Island. The 2 caves in "Church Doors" are just visible. On a very low tide it is possible to walk , on the Sands, from Church Doors Beach to Skrinkle Haven beach.